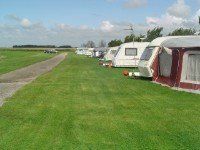 Turnover Hall Farm Caravan Park at St Michaels on Wyre, Close to both Preston and Blackpool, offers the perfect place for caravanners to visit or to make their "home" for their van. We have a small, family owned rural site with spaces for caravans, motor homes, campervans and tents. A Warm welcome, mains electricity, and an idyllic rural setting awaits you - call today to be sure of your space at our caravan park in Blackpool! Our farm is set in the beautiful Wyresdale countryside, convenient for the M6 motorway and days out to the Lake District or the Dales, but nestled in a peaceful rural village. There are plenty of first class restaurants and pubs in the vicinity, and we're less than half an hour from Blackpool. If you're looking for somewhere to store your caravan, then give us a call. Our site is secure and convenient for most Lancashire towns and villages. It's a great place to come for a few days in half-term or for a couple of weeks in the summer holidays. Don't forget to bring the bikes - the lovely flat roads in the area are great for cycling. Get in touch today to find out about our great long-term rates and very competitive short-term prices. Call Us Today to Book Your Space at one of the Great Caravan Sites in Lancashire! Contact us on 01995 679275 and we'll be happy to advise you on availability of pitches and quote you a price for caravan storage or an overnight stay. A warm welcome and a peaceful stay awaits you at Turnover Hall Farm Caravan Park at St Michaels on Wyre.